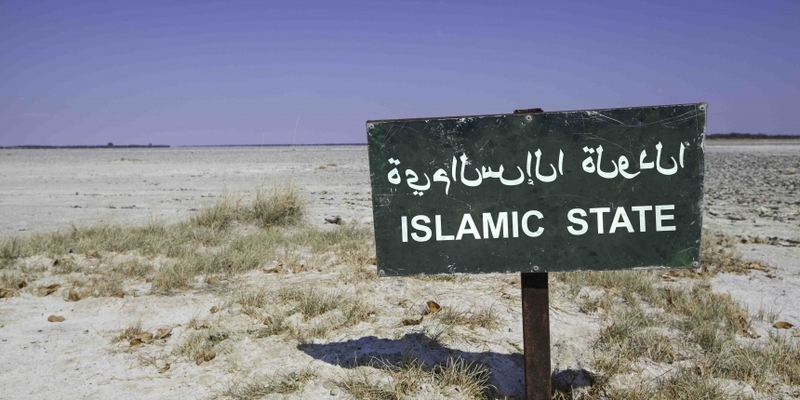 Though rumors that Islamic State (IS) has been seeking to use bitcoin as a means of payment have persisted in the media, so far, little connection has been made between the notorious rebel group and the digital currency. 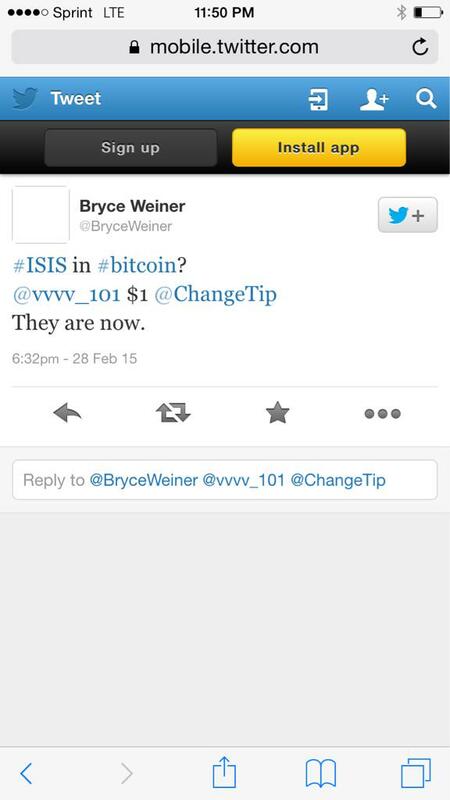 Perhaps as a comment on this ongoing media narrative, bitcoin enthusiast and AltMarket developer Bryce Weiner (@BryceWeiner) used bitcoin micropayments service ChangeTip to initiate a $1 tip to a suspected IS account (@vvvv_101) this week in an incident that has since caused controversy. The tweet, sent on 28th February, spawned discussion and sometimes humorous banter on Reddit regarding the role of social networks in facilitating free speech, though at least one of the involved entities is taking the matter more seriously. Speaking to CoinDesk, ChangeTip CEO Nick Sullivan acknowledged the “facetious” nature of the original tweet, though he indicated the company has since moved to shut down Weiner’s account. In comments, Weiner painted a somewhat different picture of the events, suggesting that he “voluntarily asked” to have his ChangeTip account closed, and noting that his actions were not taken in an attempt to harm the company nor were they affiliated with the startup. Further, he used the incident as a way to emphasize what were perhaps the political motivations behind his actions. ChangeTip has so far received upwards of $3.5m in funding to facilitate bitcoin tipping over social media networks such as Reddit, Facebook and Twitter. As a means to spread bitcoin adoption, the ChangeTip network allows users to initiate tips to non-users via these forums who then must enroll to receive the funds. Though the ChangeTip transaction was apparently stopped, others in the industry suggest that digital currency companies should take the event as a warning against this kind of malicious use. Carol van Cleef, a co-chair at Manatt, Phelps & Phillips, LLP who helps put on compliance and regulatory bootcamps for the industry, indicated that the event is likely to underscore the risk companies face for OFAC violations. “The problem with OFAC compliance is that nothing is required. OFAC doesn’t require you to have a compliance program, it doesn’t require you to do any checking of names against the so-called OFAC list. It simply does not require any of that, but if you are involved in or facilitate a transaction with someone you shouldn’t be doing business with – you have violated the law,” she said. Van Cleef voiced her belief that the most interesting outstanding question may be whether the tweet was what caused the transaction to be terminated, or whether the company was able to detect the action through its own back-end. “This helps crystallize the risks companies face,” she added. Sullivan went on to state that ChangeTip will be implementing additional screening methods as a direct response to the incident, as well as preventing tips from being delivered that contain “blacklisted keywords”. ChangeTip’s service is already unavailable in certain countries blacklisted by the US Office of Foreign Assets Control (OFAC), the divisioin of the Department of the Treasury that administers and enforces economic and trade sanctions. The company’s terms and conditions provide it the authority to block assets, deactivate or cancel offending user accounts or transfer bitcoin from a user’s account should they be found in violation of this policy. Still, Sullivan expressed his belief that no violations took place as the tip was canceled before it was transacted. “Our conclusion is that no OFAC violation occurred because the transaction was stopped by us and was never completed,” he said. In remarks, ChangeTIp head of community Victoria van Eyk stressed that the ChangeTip terms of service clearly forbids certain activities, but that her company intends to continue to support the rights of expression of its users. “We support free speech within the confines of the current laws. But, we cannot enable our platform to be used to fund terrorist activities,” van Eyk said. Van Eyk was unable to provide additional details on how users may be able to avoid any blacklisted terms, or where such terms might be publicly listed. Twitter did not respond to requests for comment at press time. Weiner has since deleted the offending Twitter account, while the account of the suspected IS member has been suspended.